The 95th edition the Pagan Weekly News found RevKess still wore out from Heartland and Zaracon recovering froma fall over the weekend. 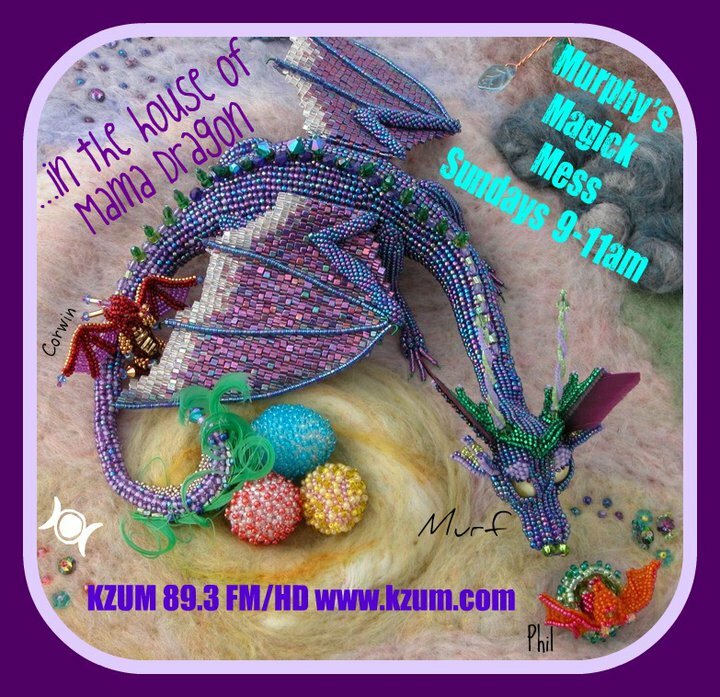 Though Z was unable to be on the air through the whole show, RevKess persevered and filled a good hour and forty-five minutes the show with news and information from, by and about the Pagan community. Below you will find links to many of the articles that were discussed as well further informaiton on those topics. You will also find a play list of the music and links to the artist’s pages. As always, the hosts of the Pagan Weekly News invite the listener to share their thoughts and impressions on the content of the show. Suggestions for stories to cover are also welcome. 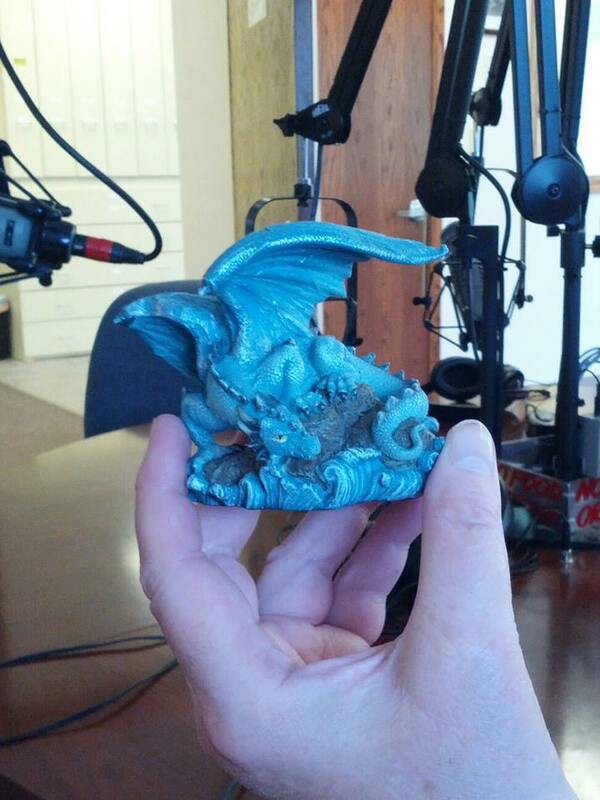 You can email the hosts at paganmusings@gmail.com or message them through the Facebook page. Blessings to you all and thank you for listening to another edition of the Pagan Weekly News! Salon.com outs “Qworty” on Wikipedia as a man with a vendetta. A new statue of Sekhmet to be consecrated at the Goddess Temple in Irvine, CA (Orange County) on Midsummer. Janet Farrar and Gavin Bone: Janet Farrar is probably one of the best known names in witchcraft, especially when addressing witchcraft in the UK. She and her first husband, Stewart, wrote many books that are still be referenced today by Elders and novices alike. Gavin Bone, Janet’s second husband (hand picked by Stewart and the Goddess Freya), has over two decades of experience in witchcraft and other forms of mysticism. Together they present workshops, classes, and write. At Heartland they present workshops on energy work and a look at the evolution of wtichcraft in the 21st century. Ed “the Pagan” Hubbard: Is the former CEO of Witch School International, recently retired First Elder of the Correllian Nativist Tradition and the CEO of Paganics. 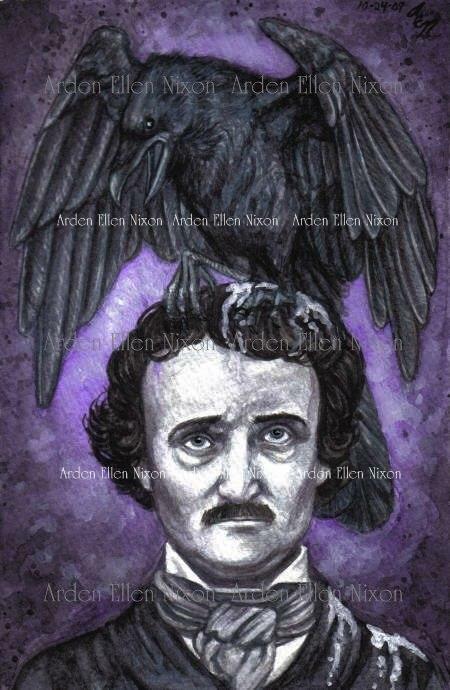 Most of us at PMPChannel know him as one of the hosts of Pagans Tonight, a nightly Pagan podcast on BlogTalkRadio. This was our second time seeing Ed at Heartland. Always a good time to sit and visit with him. Ed did several worshops on Pagan Leadership: How Pagan Are You?, The Path to Pagan Prosperity, Growing a Pagan Village, Pagan Leadership Training Raw and Conquering Your World. Mike Nichols is the author The Witches’ Sabbats. He is an author, musician and former radio personality in the KC area. Mike’s worshop was called Wicca’s Blackcloth: The Occult in American History. In this workshop he covered the early influences on occultism in the Americas and how those influences helped shape modern Wicca, at least from an American perspective. Tuatha Dea: Not only did this fabulous Pagan/Blues/Country/Folk band perform for the main concert of the weekend, but they taught a couple of worshops. Both aimed at the younger members of the Pagan community. Teen Team Building for Unity was an interactive rhythm event structured around the use of rhythm as a developmental tool and catalyst for building community through the power of the drum. Child’s Play introduced the truly young (and young at heart) to the basics of drumming for music and ritual use. Finally, but no least: Food in the dining hall was prepared by Food on Wheels from Minnesota. Fabulous food. The chili feed Thursday night was provided free of charge to all attendees and was delicious. Their breakfast buffet was scrumptuous. We provided the rest of our own meals, so we cannot speak to their lunch and dinner menu. After tasting what they had to offer we wish we had purchased the meal plan. Unfortunately, at this time we are unable to find a web address for these wonderful cooks and their kitchen crew. More information on the SCOTUS case about sectarian prayers before government meetings. What we didn’t have time for …. A study shows that Bee Venom Can Kill HIV. Interested in advertising with PMPChannel, send the channel manager an email at paganmusings@gmail.com for more information. Reach almost 10k listeners a month and share your product and services with Pagan Community. Authors, store owners, service providers, artists, musicians, just about anyone with a product or service to offer can advertise with PMPChannel. On Sunday 26 May 2013, both Corwin and Phil were out of town at a festival. Kate baby sat the boards while a previously recorded interview was aired. A big thanks to Kate for making sure everything played smoothly at the station. 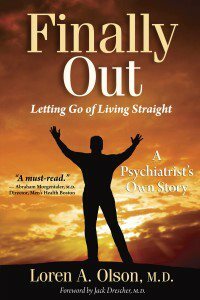 On 23 April 2013, Phil interviewed author and psychiatrist Dr. Loren A. Olson regarding his book Finally Out: Letting Go of Living Straight, a psychiatrists own story. 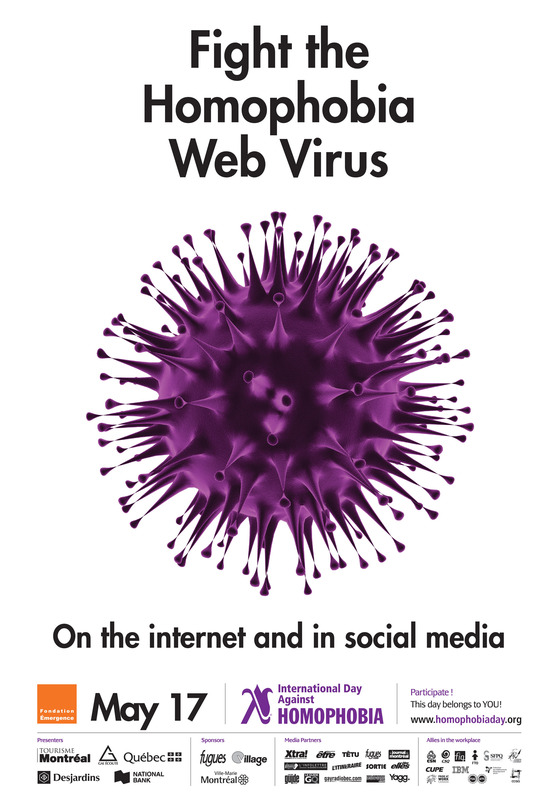 You can read Phil’s review of the book here. From the back cover: Loren A. Olson, M.D. is a gay psychiatrist who came out at forty. A father and grandfather, he is also a Distinguished Life Fellow of the American Psychiatric Association and a recipient of the “Exemplary Psychiatrist Award” from the National Alliance of Mental Illness. He has presented findings from his research on mature gay men at the World Congress of Psychiatry in Prague. In 2009, Dr. Olson legally married Doug Mortimer, his partner of twenty-four years. They live on a farm in Iowa where they produce grass-fed beef from their herd of Belted Galloway cattle. Dr. olson blogs at www.MagneticFire.com. Lavender Hill airs live every Sunday at 11am Central on Lincoln, NE’s KZUM-HD 89.3FM and on the web at http://www.kzum.org. The hosts of Lavender Hill can be reached via email at lavenderhill89.3@gmail.com. Like Lavender Hill on Facebook. Hello, everyone! KaliSara and RevKess are at Heartland Pagan Festival down near Kansas City at Camp Gaea. This is the first year that Heartland is on totally Pagan owned land, last fall Kansas City Heartland Spiritual Association made their final payment on the land. Congratulations to them! Towards the end of April, RevKess sat down via Skype with Robert McClung and talked about Telergy and the Lgend of Goody Cole. This weekend’s edition is the result of that conversation. 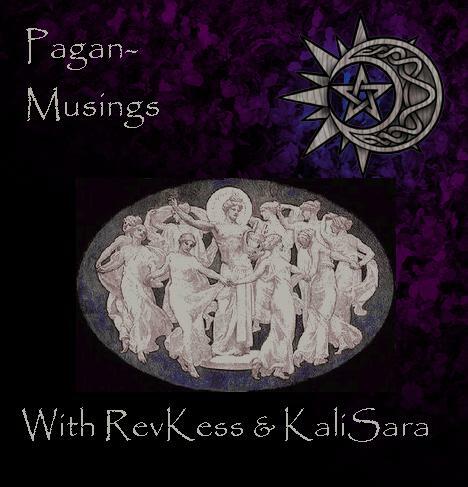 Here at Pagan-Musings Podcast Channel we strive to have a new episode for you every Saturday evening as well as our Pagan Weekly News and the occasional other programs like Musica Pagani, Lavender Hill and Selections from the Mess. Starting on June 5th, we are adding a brand new show to the line up. Home of the Ancestors with host Julian Marcus. We will continue to produce our regular shows and keep working on adding more and more to our line up for your listening pleasure and education. Telergy‘s website includes information about the concept behind the music, pictures of the musicians involved, and links to online sources for further study on both Goody Cole and the earlier release, Exodus. A review of The Legend of Goody Cole on HardrockHaven.net. Wikipedia’s article on Goodwife Eunice Cole. Lane Memorial Library in Hampton, NH, has information on their site. Article on the Hampton Historical Society‘s website. An article from SeaCoastNH.com,including a “trick” photo of Goody Cole visiting her memorial stone on the edge of Meeting House Green. A two part article by Fiona Broome on Hollow Hill, a ghost hunting site. Part 1, part 2. Goody Cole’s article on Sacred-Texts.com. Robert and RevKess had a wonderful conversation about the story of Goody Cole and the process of making this CD. During the conversation Robert mentioned many of the musicians that he worked with on this project. You got to hear some of those musicians throughout the show as well as pieces from the new CD from Telergy. Before we get to the music you heard, here is the promotional video that was produced in conjunction with the IndieGoGo campaign that successfully helped to bring The Legend of Goody Cole to reality. Hello, listeners! Thank you for checking out the show notes for 21 May 2013, the 94th edition of the Pagan Weekly News. Zaraccon and RevKess would like to thank the listener for tuning in, either live or in archive, and bringing them into your home, office or where ever it is you listen to PWN. Every week they strive to bring you the news from a Pagan perspective as well as talk about current issues in the global Pagan community. Often times you will hear one or both of them get up on their soap box on an issue, which you heard in this edition. You will also find them having fun, after all, if you are not having fun you are doing it wrong! Monetary donations, as well as blood and plasma, can be made through your local chapter of the Red Cross. While doing a live TV interview, a woman finds her dog that was lost to her during the tornadoes. Peter Dybing writes about “Disaster and a Crisis of Faith?” on his Pagan in Paradise blog (not included in this edition of PWN). Update on Charlie Rogers, Rainbow Jane, from Lincoln, NE. Sarah Hall ingram, former commissioner of the office responsible for tax-exempt organizations from 2009-2012 is now the director of the IRS Affordable Care Act office. RevKess goes to Heartland Spirit Festival. RevKess and Zaracon would like to take a moment hear to pay respect to those who have lost their lives during the tornadoes that ripped through Oklahoma earlier this week. They are our in the hearts, thoughts, and prayers of many people across the United States and around the world. PMPChannel guest and musician, George Nicholas of Cernunnos Rising made a post to the official Facebook feed for Cernunnos Rising letting his fans know that the good people of Oklahoma are indeed in his thoughts and prayers. Faith Hamilton, a regular listener and sometimes guest on PMPChannel, a resident of Kentucky, has been keeping her FB peeps up to date on what is going on in her area as well as in the OKC area. To all the first responders, rescue personnel and everyone else who is working so very hard to make this tragedy easier for those who have suffered a loss of home, loved one, or propery: May the Gods bless you, each and everyone! You are truly heroes! Sometimes there just is not enough time to get to everything that Z and RevKess want to cover. Here you will find some links to stories that there just wasn’t time for…. New smart phone app helps you boycott Koch Brothers and other corporations that are killing the Earth or taking choices away from the consumer. As of today, the app is available for iPhone and the Google platform, an Android version is coming soon. Will the “Monsanto protection act” be repealed? Boy Scouts of America saga continues with the Catholic church being split on proposed policy change regarding homosexual members. Dr. Saul Levin is the new executive officer and medical director of the American Psychiatric Association. Dr. Levin is the first openly gay person to hold such a position in the US. Church Scotland votes to allow gay ministers, if the individual churches choose to have them. From the UK: A crisis of conservatism may be destroying the Tories. P. Sufenas Virius Lupus writes about persecution on Queer I Stand, his blog on Patheos.com. “It’s 2013, and they’re burning witches”, an article from February 2013 on witch hunts in South Africa and elsewhere around the globe. Anonymous hackers threaten Guantanamo, military shuts down WiFi on base for protection. Friday the 17th of May is the International Day Against Homo/Bi/Transphobia. Official referred to as the International Day Against Homophobia, it is a day to take whatever steps you feel necessary (within reason) to combat homo/bi/transphobia in your community. Even the United Nations Human Rights Office has stepped up and gotten involved by releasing a video. This little video is only one thing that you can share to spread the word against h/b/t-phobia. On Lavender Hill we do what we can to spread the word about intolerance, bigotry, persecution and violence against members of the LGBTQA+ community. Corwin and Phil are both openly out in the community and often take a stand on these issues, both on and off the air. It can be as simple as stepping up and defending someone against hateful words or as extreme as marching on the Capital steps to demonstrate in support of LGBTQ+ issues. A peace rally in Fiji. Mancucian Matters from the UK writes about IDAHO. Ryan Ubuntu Olson, IDAHO Committee member, writes in the Huffington Post. The Same Same website out of Australia. and such more. A simple web search will bring you a plethora of results. How are you going to step up and take a stand on Friday? Hello, my friends! Sorry for any delay in the posting of the play list from Mother’s Day. Been a rather hectic week. But it is here, finally! As you may recall, 12 May 2013 was Mother’s Day. It was also the start of a tracking week at KZUM. So, the play list has an obvious theme and reads a little differently. The theme was Mothers and Mother Goddesses. For good reason. And as you can see by looking at the list, we included the recorded label, recording company, or the artist’s name again if it was a self=published CD. This is the first time the list has been posted in this format, we hope you might find it useful. Any errors are mine. I would appreciate any corrections that you might catch. You can comment to this posting with those corrections. Wanted to include more video links, but either YouTube is being stubborn or these particular tracks have not been set to video. Remember to tune in live every Sunday morning at KZUM or on the radio at 89.3FM in the Lincoln, NE area. Like the show on Facebook and let us know what you think of our music line up.